The Rundāle Palace Museum organizes exhibitions on various themes related to the history of the palace, the Dukes of Courland (the Biron dynasty), Latvian art from early periods, decorative art and garden art as well as themes related to the history of civilization such as different aspects of daily life and festivities. 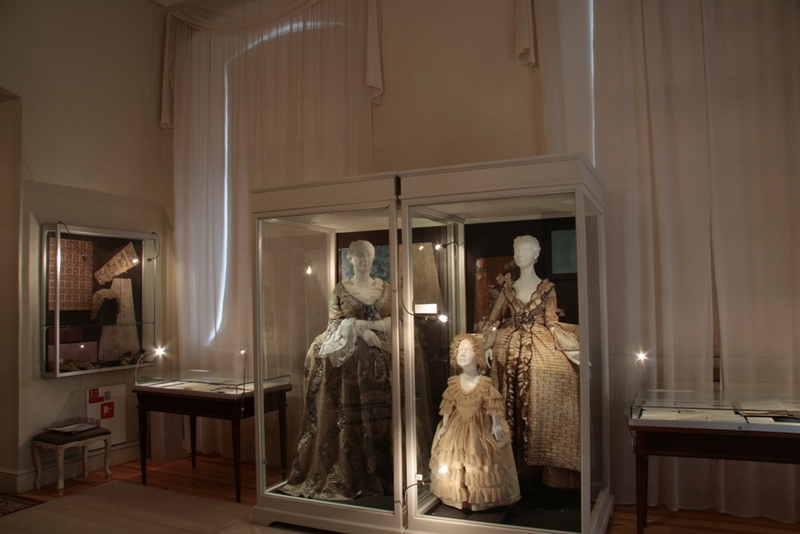 Most of the exhibitions are free of charge; these include: “Adored Dorothea”, “Fashion in Latvia from the 17th to the 19th Century”, “Contemporaries of the Dukes of Courland”, “The Green Glass”, “Stone Carvings and Ironwork in Latvia” and “The Palace Construction History”. An additional fee is charged for the exhibition “Pompa funebris”, whereas the exhibition “Trees and Shrubs in the Rundāle Palace Garden” in the gardener’s house is included in the garden admission fee. 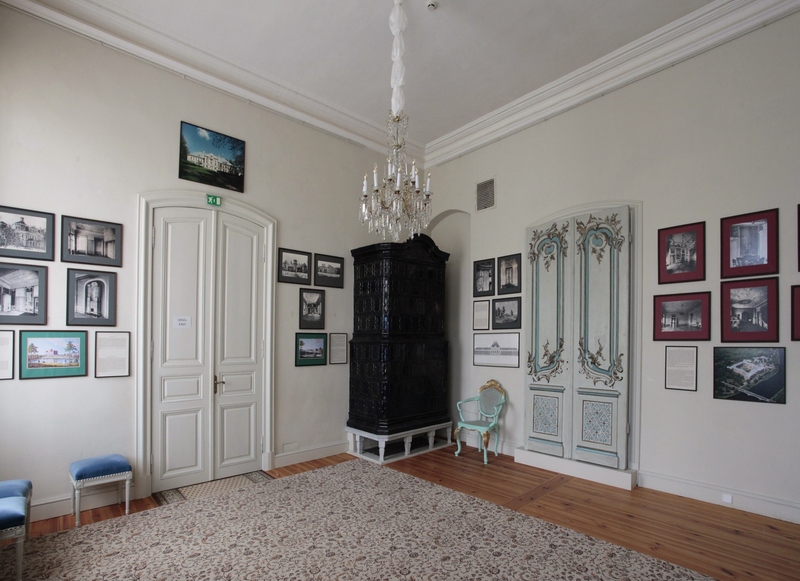 The Family Vault of the Dukes of Courland in Jelgava Palace can be visited in summer season. Part of the exhibition opened on 24 May 2012 covers the period from Late Gothic to Late Baroque (late 15th c. – 2nd quarter of the 18th c.). The exhibition will eventually comprise fourteen exhibition halls and is planned to be completed in 2016. 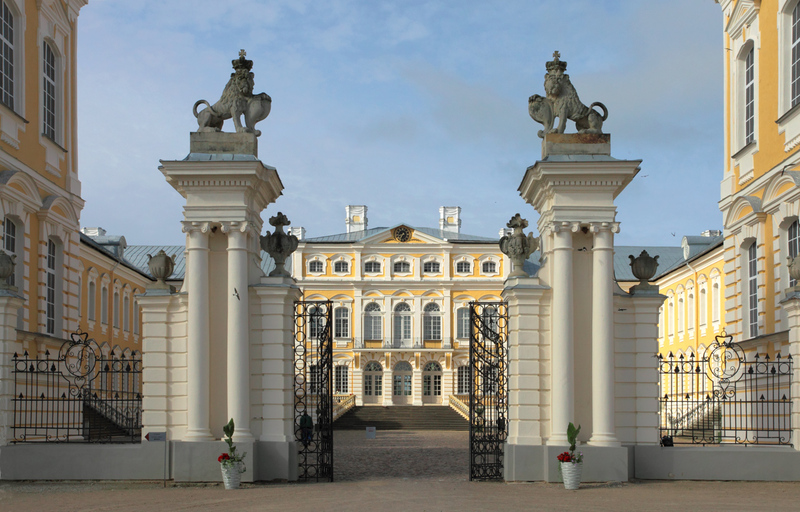 The Vault is located in the basement of Jelgava Palace. There are thirty members of the House of Kettler and the Biron dynasty buried. 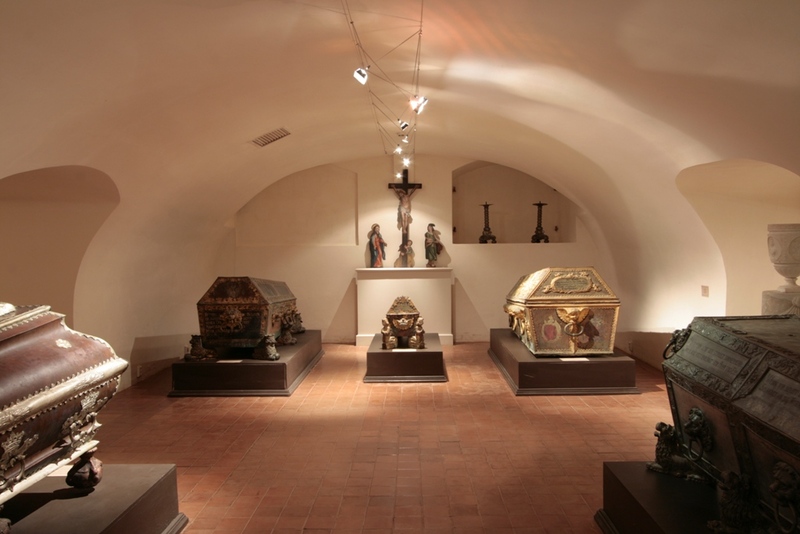 The Vault contains sarcophagi and coffins, the exhibition about its history, restored articles of clothing and their details, and fragments of upholstery fabrics. 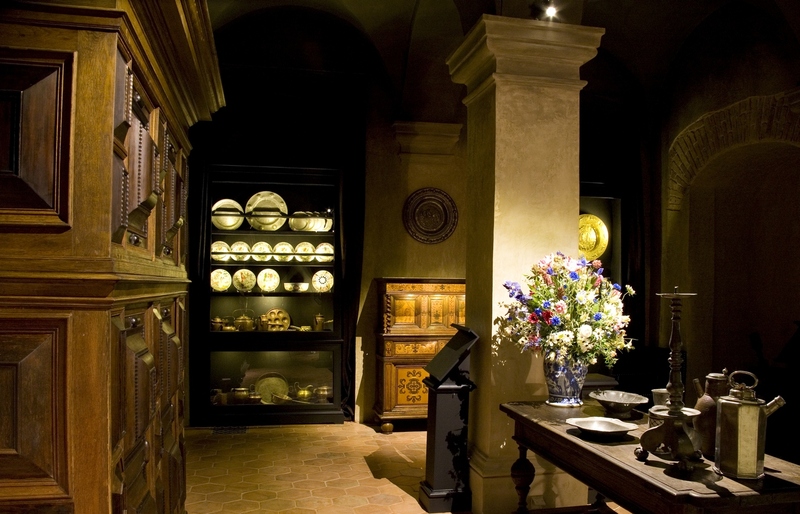 The exhibition in the basement of the western wing provides information on the palace history. It comprises archaeological finds, archive documents and old photographs. 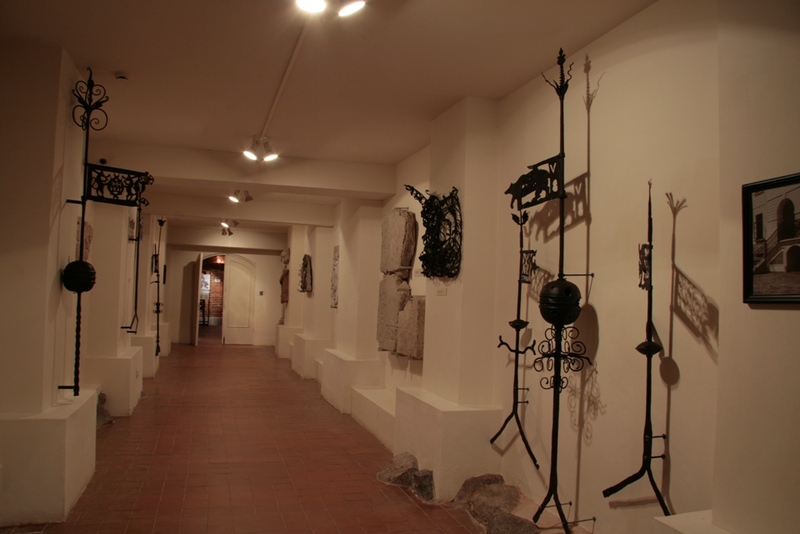 The exhibition in the central part of the basement features tombstones and sculptures as well as facade stone carvings and ironwork from manor houses in Latvia. The Rundāle Palace Museum owns a large collection of historic textiles. The oldest items include fabrics and fragments of garments from the Family Vault of the Dukes of Courland. The collection also comprises liturgical vestments from churches in Latgale and embroidered household items. The exhibition is arranged in the Duchess’ apartments on the first floor. 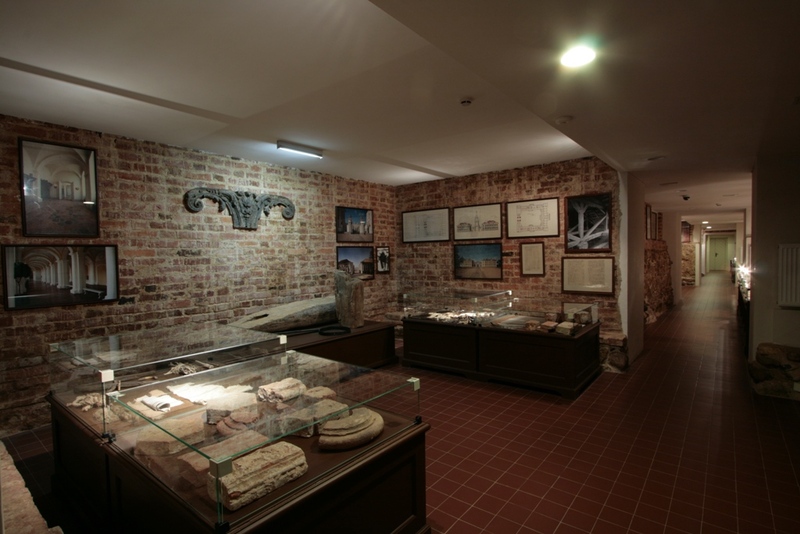 The exhibition in the central part of the basement displays part of the Museum’s collection of items related to burials. 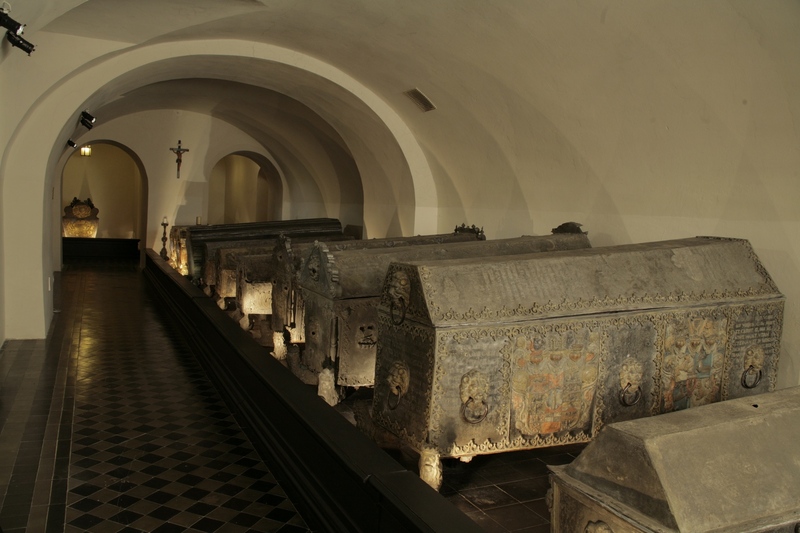 The exhibition features sarcophagi and decorative coffin plaques from different churches and also from the Great Cemetery in Riga. 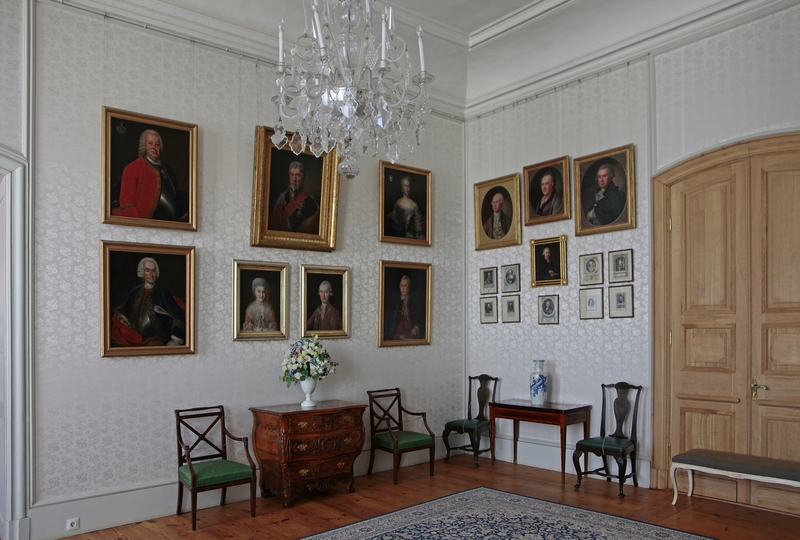 Portraits of the dukes’ contemporaries are displayed in one room of the Duke’s private apartments. Part of the portraits has been loaned to the Rundāle Palace Museum by other Latvian museums. Duchess Dorothea of Courland through the eyes of artists and through writings. 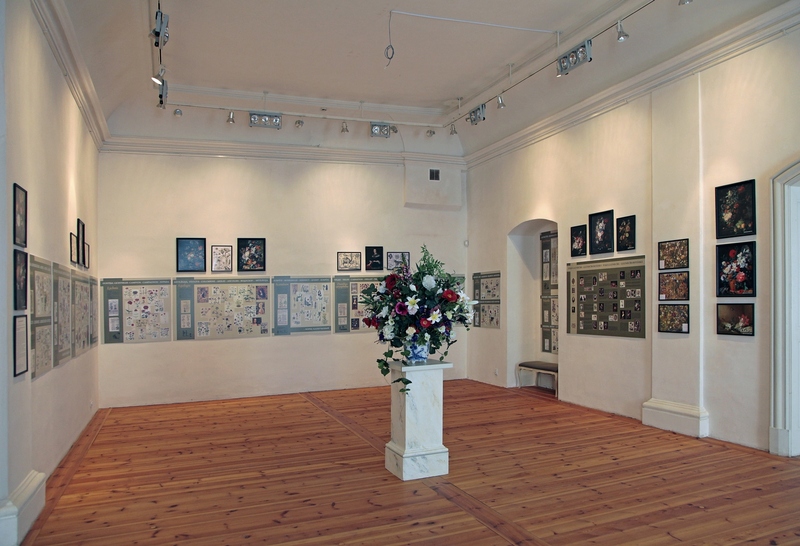 The exhibition has been arranged in cooperation with different Latvian museums, archives and libraries. The exhibition is located next to the old kitchen. 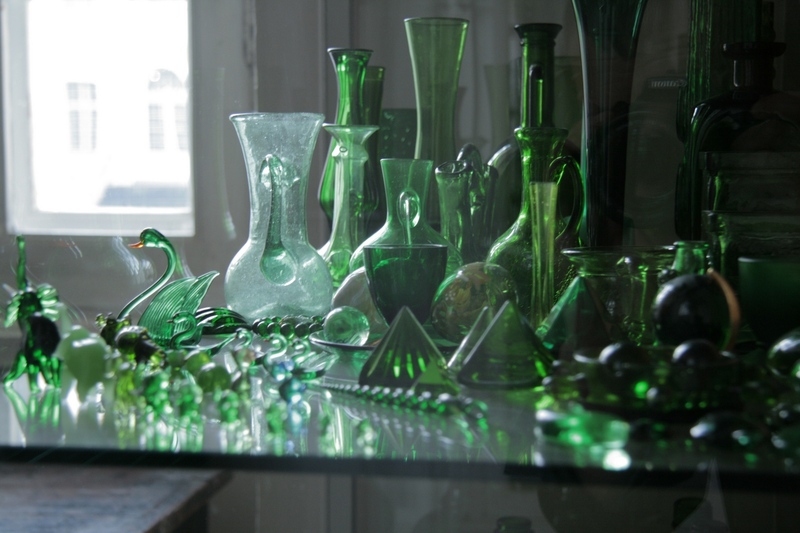 Four vitrines display a collection of green glass household objects donated to the Museum by Karin von Borbély (Germany).